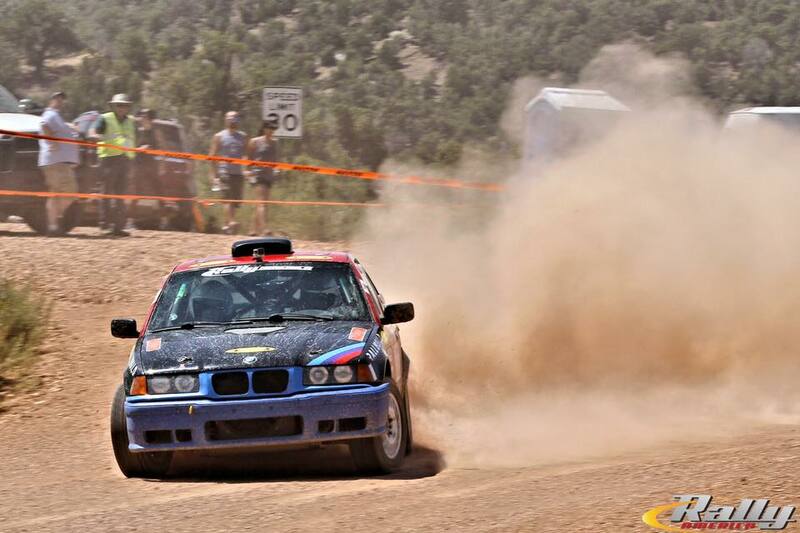 With the current administrative rift in U.S. rally leaving Rally America with a need for more events, they looked towards Colorado, a former rally stalwart, to add a new event. When Roger invited me a couple months before the event, it looked like the organizers planned on bringing back some classic roads near the front range of the Rockies. However, the event moved farther east to a small town near Utah called Rangely. It was a very similar situation to the 2008 Olympus when it moved across the state to a small town. However, this time, I wasn't involved in a rollover! In fact, Roger drove a sensible rally and persevered over some difficult conditions and some challenging terrain. The BMW is a stable platform and seems pretty strong. We probably could have pushed a bit more and come home with a National podium, but we made sure to cross that finish line instead and took our foot off over the rough bits and near the numerous exposures. A couple of our fellow competitors found themselves at the bottom of a ravine or on their side in the road. I should really talk more about the challenges we had at this rally, I suppose, because it wasn't super easy, that's for sure. A mix of every surface and level of technicality, it seemed. There were rough and rocky sections, fast and open sections, a couple miles of smooth and wide sweepers, and a wide selection of places to fly off a cliff. Even the weather decided to play a part and on the first day, stage 6 was cancelled because rain on these stages means instant mud and the mud on those stages means they are impossible to travel in any reasonable automobile or ambulance. There was a moment or two of rain on stage 5 and the BMW wandered around like a 2-year old off its wrist leash. It didn't help that my helmet microphone decided to just stop working after the first loop of stages for no reason. That was really frustrating and after saying all the swears I know, I got to yelling. We lost some time there, for sure, and were a bit glad the last stage of the day was cancelled. I borrowed a spare intercom set up from Eric Genack and fellow Cascadian Tracy Manspeaker, and we successfully navigated through day two to a 1st in class. After the rally, Roger and I climbed one of Colorado's famous "fourteener" mountains for good measure. So my week in Colorado was a pretty great adventure. Probably the only drawback was having to buy a third license on the way there and buying a new intercome on the way back. Otherwise, a nice summer vacation!